Polar Ware Yukon wall mount hand sinks are made with the same care and highest quality that goes into all Polar Ware products. This wall mount hand sink is built and designed to withstand vigorous and constant use in commercial and professional kitchens. Staff will appreciate the liberal radius in the bowl corners of this stainless steel hand sink for reduced splashing and messes. All of these features make this sink easy to maintain and clean. 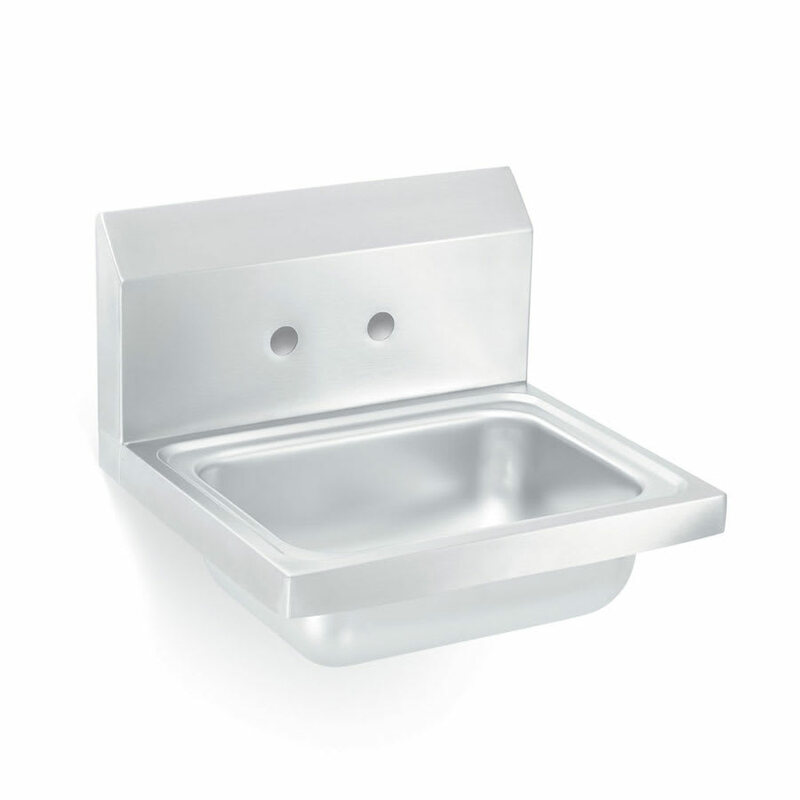 This Polar Ware hand sink is constructed of heavy weight 20 gauge stainless steel which will promote years of corrosion and scratch resistance. 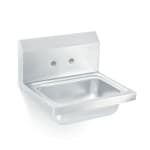 The bowl is deep drawn from one piece of heavy gauge stainless steel and the liberal radius in sink bowl corners keep water and soap contained to the bowl. The high back splash is great for easy maintenance and protects your walls from mildew, puckering, and water stains. Mounting brackets are included with stainless steel hand sink for easy installation!